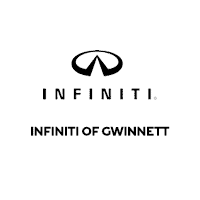 A luxurious sedan that was a few years ahead of its time when it debuted in 2008, the INFINITI Q50 is the perfect combination of performance, comfort, and appearance. It has been redesigned a bit over the years, but the recent refresh in 2016 was just a hint of things to come. The 2017 model, however popular, bears little resemblance to what just rolled out at the auto shows for 2018. The 2017 model is marketed as a four-trim option vehicle, albeit with a lot of customization possible. The 2018 is advertised more than just a bit differently. It is labeled in twelve distinct versions, and each has a specific powertrain and exterior styling. Below is a slightly more detailed summary of what sets the 2018 model apart from the previous year’s offering. Standard exterior features on the 2017 INFINITI Q50 include 17-inch wheels, foglights, automatic headlights, and a sunroof. These are all standard on the 2018 models as well. The 2018 model features some distinctive styling elements that set it apart from the 2017 version. The side panels are a bit more shapely, and the roof curve has been altered to give the vehicle a more sleek appearance. The 2017 Q50 is loaded with standard interior features including eight-way power-adjustable front seats, leather upholstery, and a six-speaker sound system. The 2018 models boast the same features but allow for more customization, especially in the high-tech department. For example, a 16-speaker Bose audio system is available on the hybrid LUXE. The 2017 Q50 2.0t models are powered by a 2.0L turbocharged engine that puts out a total of 208 horsepower. The 3.0t versions have a 3.0L turbocharged engine that makes 300 horsepower, and the Red Sport 400 has a more powerful V6 that produces 400 horsepower. Seven-speed automatic transmission is the only choice, but buyers can choose either rear-wheel or all-wheel drive. The 2018 models are listed according to their engine displacement, similar to the 2017 versions. The 300-horsepower engines are twin-turbo design. Performance packages include the addition of Dynamic Digital Suspension and larger, more efficient performance brakes. The 2017 model is offered in four trim levels. The 2.0t is available in a so-called base variant that includes selectable drive modes, synthetic leather upholstery, and a rearview camera. The Sport and Premium variants are available on the 3.0t models. The add-ons here include wider 19-inch wheels, magnesium paddle shifters, and a sport-tuned suspension. The 2018 models are classified similarly but the variants are numerous. There are a total of 12 different configurations, from the base 2.0t Pure to the luxurious Red Sport 400. The latter has the larger, more powerful V6 as well as Intelligent All-Wheel drive. The 3.0t Sport is the most well-stocked of the 300-horsepower versions, packed with such features as 19-inch aluminum alloy wheels and Kacchu aluminum interior trim. This is just a peek at what buyers have to contemplate when choosing a 2017 or 2018 INFINITI Q50 sedan. One thing they both have in common, however, is a thrilling driving experience. Contact our dealership today to learn about current inventory and to schedule a test drive. MSRP excludes destination, taxes, title and registration fees. Starting at MSRP refers to the base model, optional equipment not included. Pricing and offers may change at any time without notification. To get full pricing details, see your dealer.